Spring is almost here. This means that the flowers have bloomed. The dandelions are flying through the air once more. If you live on a fruit farm, you know that it is time to harvest the fruits. The fresh smell of the fruits and the sweet slices that you want to taste are among the things worth anticipating. It is time to pick the ripe harvests. If you have an expansive farm to cover, you need to maximise your team’s effort. And you have to start with scheduling the assignment of your team members. For one, you can form groups and assign them to each quadrant of the farm. You can also have an assembly line with each segment doing a specific task — a team may work on picking, while the other may work on sorting. Your delegation skills are needed here to ensure that the strengths of each team member are put into good use. Before going to the field, you need to get your equipment out. Check your inventory before giving each item to your team of fruit pickers. In this regard, you may need to have scissors, fruit-picking baskets, sacks, a few fruit bins, tubs where you can wash the fruits, and the fruit pickers. As you may be covering a large estate, you may consider using all-terrain vehicles (ATVs). Check the equipment before distributing to see that each item is safe for use. Now, there are a variety of techniques when it comes to fruit picking. 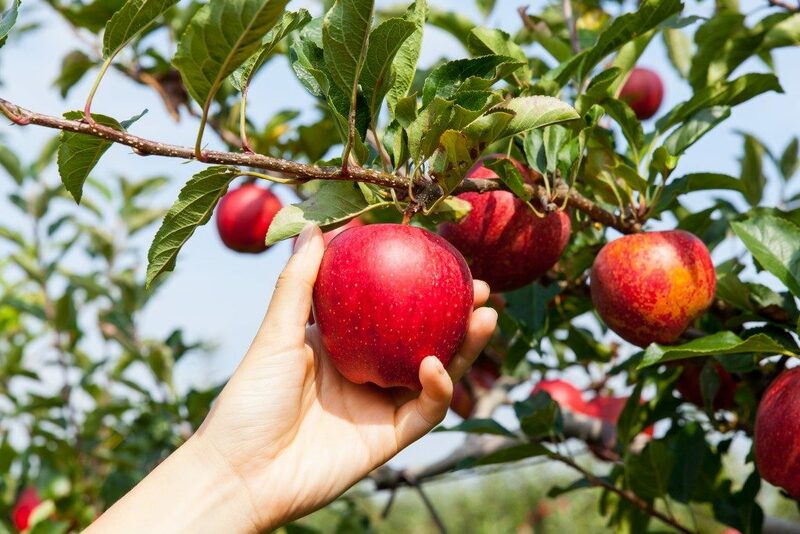 You may use your fruit-picking baskets for tall trees, or you can just simply pick the fruits when it comes to small trees and low-hanging fruits. Well, you can even shake the trees, but first, put baskets and lay the sacks around the trees. Twist and shake the tree until fruits fall. Be careful not to get yourself hurt, and you may need to wear a hard hat here. Many fruit pickers make the mistake of getting fruits that are not ripe yet, thus putting them to waste. Before you pick them, check their appearance first. Colours are the most usual determinant, so look at them carefully. Check the texture and hardness, too. If it is already soft, chances are it is already ready for picking. Picking fruits may seem simple, but if you do not have the right knowledge, it will become difficult to do. Keep the tips above in mind for a productive harvest.